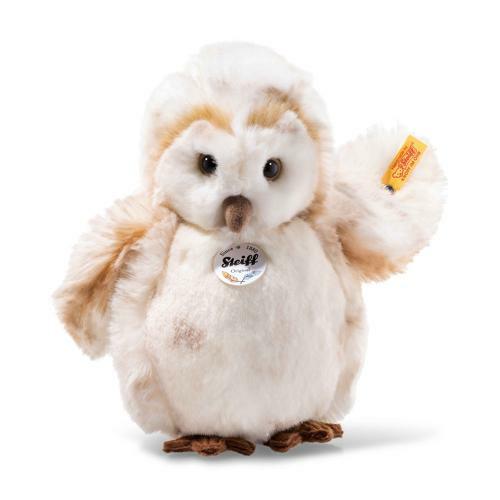 The 23 cm tall cream-dappled Owly owl is made of soft and cuddly plush fabric with adorable tail feathers. The lovable owl wiggles her brown felt feet in joy when petted by her new friends. Owly owl features a decorative identification tag on her neck that has feathers on it. The face mask features a light brown edge to accentuate her friendly appearance.